The fires in California have been devastating to witness. 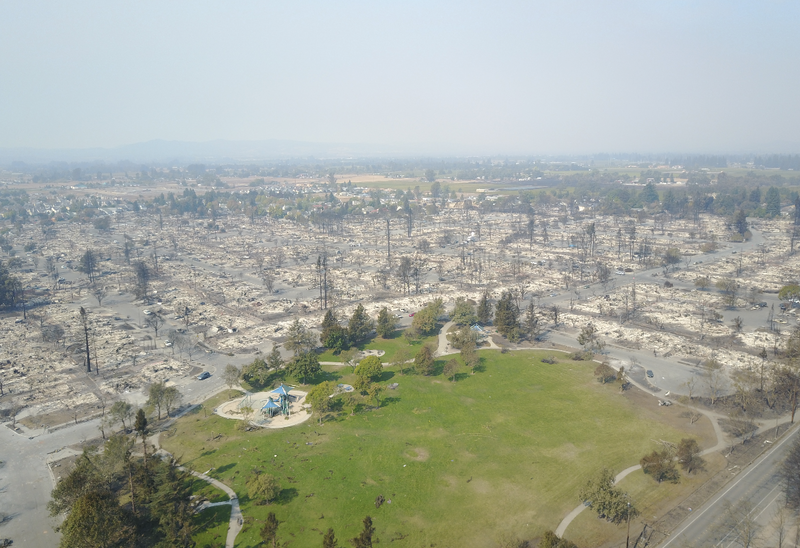 The entire DroneBase team feels especially connected to this recent string of disasters: our headquarters is located a few hours south of the fires in California, and we have many Pilots in or around the northern parts of our state, some that help provide drone coverage of the disaster. A number of our Pilots accepted missions to capture aerial footage of the damage. These missions allow DroneBase to supply major media outlets with drone coverage and videography of the damage for their reporting. While this type of content can be jarring at first, it plays an important role in communicating the state of the disaster to the rest of the nation. Here are just a few of the news sources that have picked up our Pilots’ drone coverage. CNN: How did the Northern California fires become so devastating? Our thoughts are with all those who have been affected by this devastation. We’re currently working with media outlets on a national level to capture footage & survey damage. If you’re in need of drone coverage, aerial imagery, & surveillance, reach out to us today. Previous PostWho Does A Drone Pilot Work For?